I'm back for my second post of the day. That's rare...but fun! I love this color combination. I think it's so rich and warm. 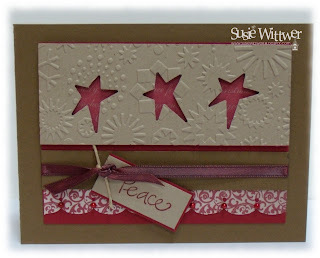 I popped up the punched cs above a layer of dsp from Stampin Up. I love this pack of dsp, great colors and prints. It's called Deck The Halls. 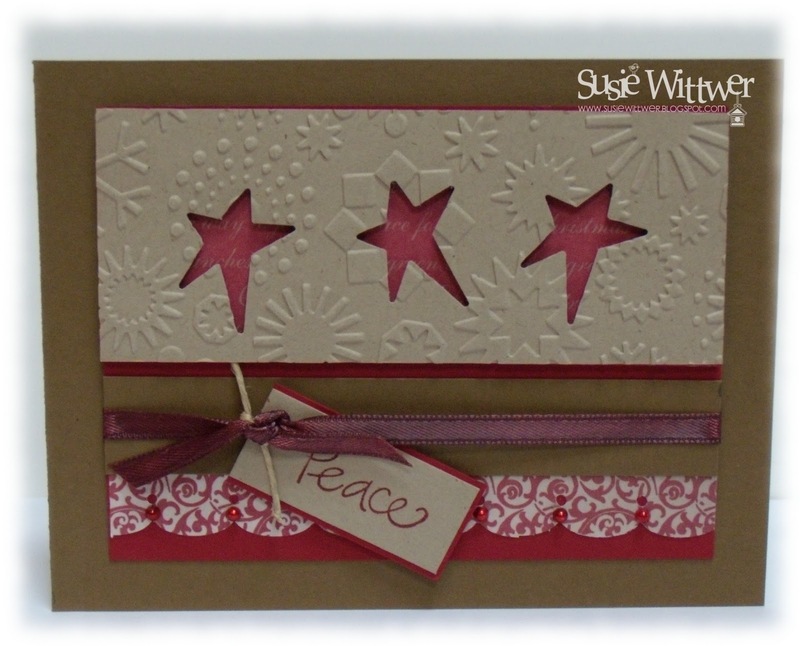 Here's my card...the recipe is included below the pics. Please let me know what you think...I love reading your comments! 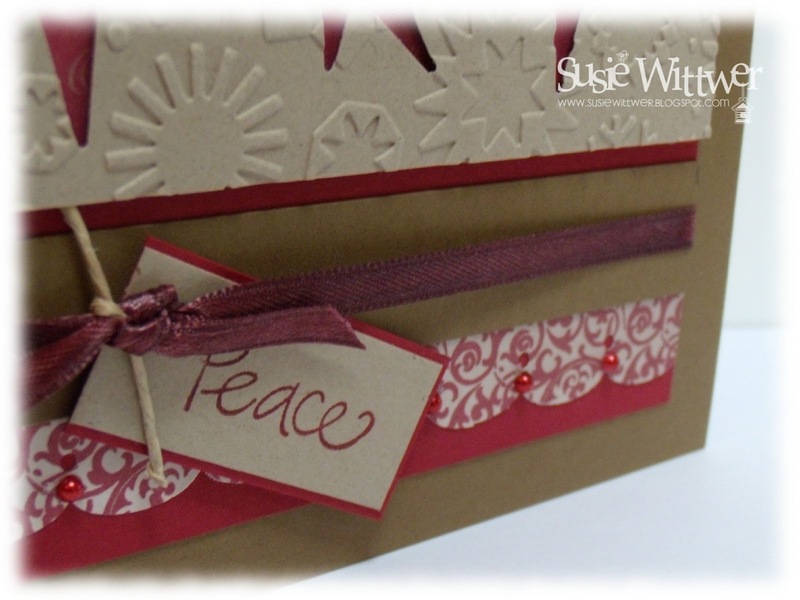 Great card for your Christmas stash! I'm afraid I have a long way to go until mine's complete! Thanks so much for playing along with us at the Color Throwdown!